Here in the Student Activities Office, we understand how hard our graduates have worked to get to this point in their lives, and we are truly lucky to cross paths with so many amazing students. That's why it's our mission to provide our graduates with a truly memorable Senior Week as one last hurrah before their time at Daemen comes to an end. Below you can find all the information you need for this year's upcoming Senior Week! Please direct any questions pertaining to the week or its events to Michael Paglicci (Coordinator for Student Transition & Campus Programming) at 716-839-8492 or via e-mail at mpaglicc@daemen.edu. Thank you. Get your tickets for Senior Week 2019 NOW before they're gone! Anyone graduating is eligible to attend the Senior Week events! We're kicking off Senior Week with an event you won't want to miss! 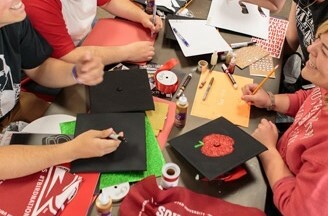 The first floor of Wick will be home to our Cap Decorating event. Come by to not only create your unique design for your cap at graduation, but to enjoy great food, drinks, giveaways/prizes, photo opportunities, and much more! This event is free for all graduating students. 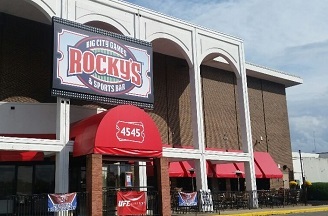 Join your fellow graduates at Rocky's for bowling, games, food, and tons of fun! Your ticket gets you food, unlimited bowling, bumper cars, and all the arcade gameplay you can handle! This event requires the purchase of a ticket to attend. 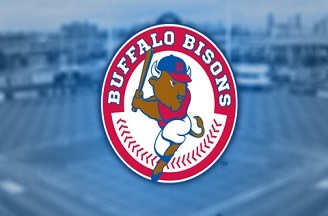 Whether you've seen a Buffalo Bisons game or not you won't want to miss this game against the Gwinnett Stripers at Coca-Cola Field! Your ticket includes a hot dog and drink as well! This event requires the purchase of a ticket to attend. We're serving up a picnic lunch to the campus community before graduation! Enjoy one final Wick Dining meal before walking the stage with your friends, faculty, and staff here at Daemen. This event is free for all graduating students. Sail off into the sunset with one of your final nights as a Daemen student on the Buffalo Harbor Cruise. Transportation is provided for those who purchase a ticket. On the cruise we'll have a buffet for dinner, complimentary beer, wine, and soda, as well as a DJ! Don't miss this Daemen tradition! This event requires the purchase of a ticket to attend.